MINING.com speaks with Jani Puroranta, Chief Digital Officer at Metso, about how digital technology can increase productivity and optimize existing assets. MINING.com: As we all know, in mining productivity is king. But mining companies have a problem with productivity. A 2015 report from McKinsey states that mines were 28% less productive than in 2005. Many mining companies try to squeeze more productivity out of what they have, but they can only improve so much, especially when the equipment is dated. For mining generally (not only mineral processing), do you see digitalization as the answer to the productivity dilemma? Jani Puroranta: In the past, the mining industry has addressed productivity challenges through economies of scale. By building larger plants and introducing bigger machines, the mining companies have been able to drive down the cost per ton of material processed. 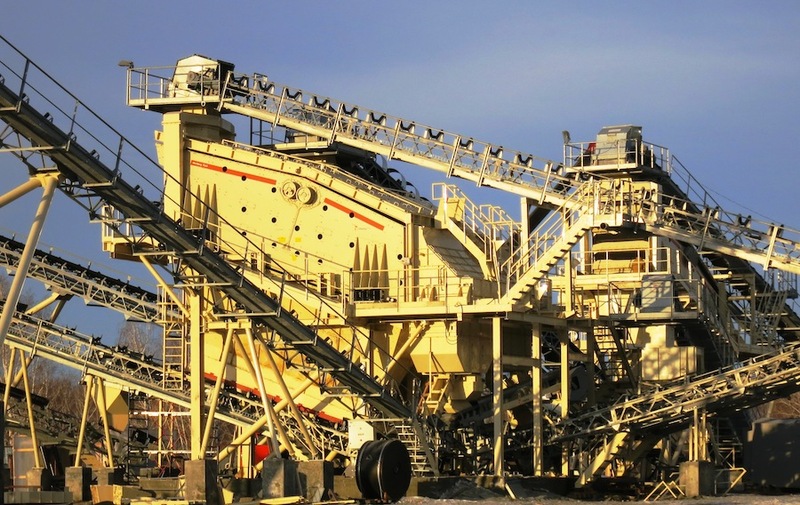 For example, the largest cone crusher built by Metso relatively recently – the MP2500 – has three times the capacity of a more commonly used MP800. However, this route is now exhausted. Many of the plants already have overcapacity in parts of their process due to large capex investments made during the previous supercycle. Current bottlenecks (such as the SAG mill) are often complicated or too expensive to replace. Furthermore, the infrastructure costs or even mining permits may not allow further expansion of capacity. Hence, optimization of the existing assets and the process is now key to drive productivity further. This is centrally where digitalization comes to play. With digital tools, the plants can make most of the assets they already have in place. M: What are the sources of lost production in mineral processing? JP: On a very high level, there are two key sources of lost production: not operating consistently close to design capacity, and asset downtime. The first is an optimization challenge. The minerals processing process is a highly variable one due to three main causes: (1) variability in plant feed (PSD, grade, hardness, etc. ), (2) differences in operator performance, and (3) continuous changes in machine performance due to wear and tear. With such a highly variable process, it is difficult to maintain a constant peak performance. Asset downtime, on the other hand, can be a killer of productivity and make the difference between a profitable and non-profitable year for a mine that has challenging economics e.g., due to low head grades. Downtime is of course something you cannot completely get rid of, since the machines do require regular maintenance. However, unplanned downtime and seemingly unpredictable breakages are indeed something that can be addressed with new digital tools. M: Mineral processing is one of the most costly parts of running a mine, in terms of water use and energy. How much potential do you see for improving productivity, and lowering costs, using digitalization? JP: Biggest impact is made in the choice of flow sheet and technology therein. For example, shifting towards dry comminution will obviously have a huge impact on the water balance. Or implementing more energy-efficient flow sheets such as using HPGR or stirred mills will have a big impact on energy efficiency compared to traditional SAG/AG and ball mill technology. However, once the plant is up and running, making significant changes to the flow sheet can be difficult if not impossible. The role of digitalization, then, is to optimize what you have already in place. For example, continuous monitoring of liner wear and performance in crushers and mills could help save tremendous amounts of energy by maximizing the amount of time the machine operates at its best efficiency points. Also, there is clear evidence that Advanced Process Control can improve the overall plant productivity in the range of 2-10%, which is a huge improvement and this will feed back to energy and water savings too. JP: I see two key areas of digitalization in the minerals processing plant: Advanced Process Control (APC) and predictive maintenance. APC is a holistic approach to identifying the plant constraints and making use of software to automate finding and operating at the correct set points at each time to drive consistent production close to the constraints. Expert systems can be deployed on top of the regulatory controls and SCADA/DCS systems to do this. Predictive maintenance, on the other hand, makes sure that the process uptime and machine availability are maximized. In this concept, machine learning algorithms and AI is used to detect and predict machine breakages, deviations from normal operating patterns, and drift away from optimal operation. Both APC and predictive maintenance rely on sensor data. This sensor data can be regulatory control data such as flows, levels, pressures, temperatures, etc. coming from instrumentation already existing in the process. Sensor data can be collected also from sensors within the machines, that are not meant for process control, but rather to gauge the health of the machine and performance of the machine, and ultimately prevent its wrong use. Furthermore, increasing amount of advanced instrumentation for metallurgical and process control purposes are today being added plants as PSD analyzers, on-stream analyzers, several types of instruments for flotation, etc. The purpose of these advanced instruments is to measure currently unmeasured process loads and to gain faster and more accurate data about the process overall for optimization purposes. M: In an interview in Mines and Technology Europe, you said there is currently not much use of IoT in the processing plant. Instead the data is generated through monthly reports, which sounds like an “old school” way of doing things. Are mining companies wanting to have this information in real-time, using IoT, and if so what would be the advantages in having it? JP: Only real-time data is truly actionable. Identifying sources of lost production in the previous month can help to drive improvement initiatives down the road, but it will not bring back the already lost tons. Also, it is very common to see same failures or suboptimal operation to continue month after month regardless of the improvement initiatives. Getting the feedback of poor operation in real-time will accelerate the learning cycle tremendously and helps to address the root causes immediately as they arise, rather than weeks later when it may be already too late. Real-time data can be also automated e.g., in plant controls or as decision-support systems to close the loop immediately, which is not the case for monthly reports. JP: I would not dismiss the role of equipment upgrades and process changes at all. Significant value can be driven through spot improvements in specific parts of the process and by making a series of small, continuous improvements. By adding a new screen in the right place, optimizing cavity designs, or by upgrading old machinery for higher reliability and more consistent end product are examples of areas with high improvement potential and return on investment. To drive this continuous improvement, more data is needed. However, IoT technology, Ie. collecting and analyzing process and machine data from the plant for new insights, can be a key to unlock new insights. 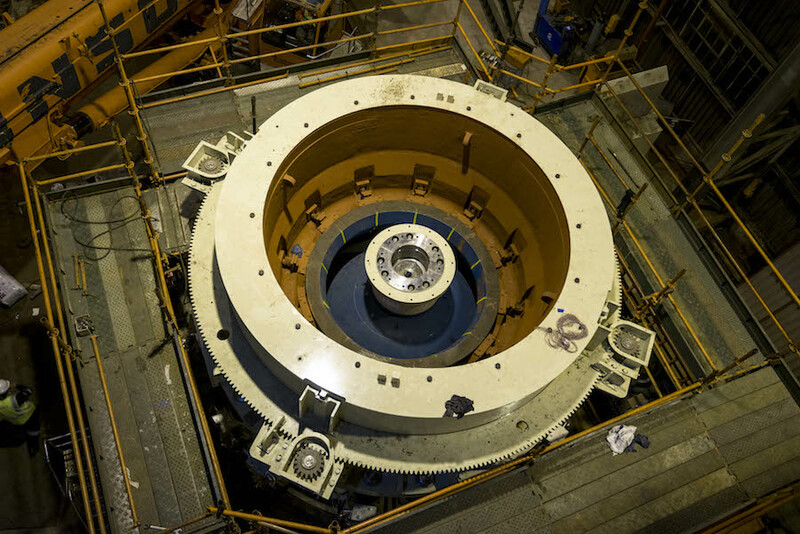 By sharing this data with an OEM like Metso, the plant personnel can discuss improvement potential with best experts in each field with much higher detail and accuracy than ever before. For example, in a mine in Africa where Metso is remotely collecting data from three MP-crushers, we have been able to remotely troubleshoot both mechanical and process issues with much higher accuracy. 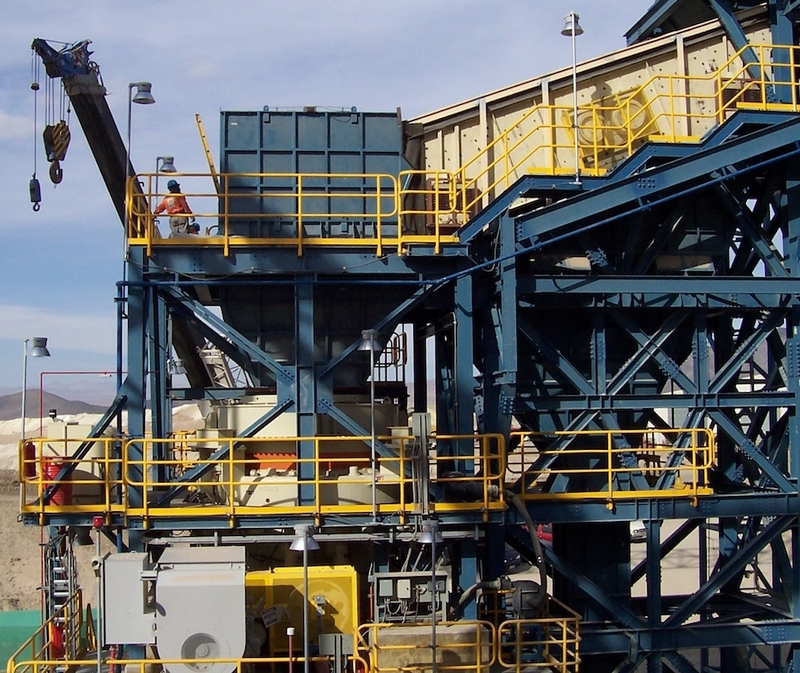 Similarly, in a US-based mine where two MP-crushers are remotely monitored, we have been able to ensure higher uptime, less breakages, and much faster problem resolution and response than usual. M: You’ve commented in one of your blogs that digitalization doesn’t have to be disruptive. Are you saying that digitalization need not be a huge change in the organization, but rather, complements existing practices? Can you give us an example? JP: I am a big believer in continuous improvement. At its best, digitalization helps people to do a better job every day and drives a gradual transformation towards better practices and higher productivity. If new practices are too disruptive, they may not stick. For example, fully automating a mine is a sensitive topic with labour unions and cannot be implemented overnight – it is not only technically, but also socially disruptive. Rather improve 1% every day and this compounds to a staggering 3700% improvement in a year! M: You’ve mentioned the “hoody guys” (young tech-savvy employees or contractors) developing digital solutions that can outsmart the older more established mining companies. You say mining companies need to themselves become hoody guys by embracing digital. It sounds good but this is difficult. Can you offer a path forward? JP: I think that by partnering with OEMs, the mining companies can get to results much faster. Mining companies should outsource the complexities related to understanding and modelling the wide array of different types of equipment in the plant. Instead, mining companies should focus on building systems and processes to combine all insights collected from the various OEMs together with the process data, and drive insights and actions based on these. For example, why would a mine put their best process expert to analyze crusher sensor data, when he or she could be analyzing the insights provided by the OEM, determining the best courses of action, and implementing changes to the process? To me that would be the best use of everyone’s scarce resources. M: You also say companies should “fail fast” when implementing changes. What do you mean by that? JP: I actually hate the slogan “fail fast”, since the purpose is not to fail fast, but to learn quickly. Just failing without the learnings achieves nothing. The intention is of course agility, which means accelerating learning cycles by quickly finding out what works and what does not, and also tolerating failures as part of the whole learning process. But I would call that “learn fast” rather than “fail fast”. M: Can you talk specifically about AI in mineral processing? You distinguish between the process level and the machine level. Why should a mining company use AI in the plant? JP: Today, the primary use case for Artificial Intelligence is to detect anomalies. For example, predictive algorithms can be deployed to detect drift from the machine’s normal operating state and alert a human for further investigation. Algorithms can also be trained to detect a specific failure signal already before any high-high or low-low limits are breached. For example, hydraulic leakages are an area where AI can easily identify problems that are still brewing. In the future, AI can also be used to optimize the process. Algorithms could make recommendations to the operator or the parameter changes could even be automated. Here I don’t mean APC type of advisory mode, but rather a system that can analyze weak signals in the process use them to optimize the process up- or downstream. An example would be a change in ore hardness detected in the secondary crushing stage that would be used to adjust flotation reagents (due to known correlations between hardness and ore metallurgy) when the material hits the flotation cells a few hours later. However, we are still some years away from AI doing that instead of metallurgists and operators. M: Staying with AI, what stages of mineral processing are most likely to benefit from AI? JP: There are anomalies everywhere in the process from pit to port. For example, we have already seen some of the big iron ore producers focusing on the predictive maintenance of locomotives, since the uptime and consistent performance of the rail transportation plays such a big role in the economies of their end-to-end process. The trick is really to identify the most actionable areas of improvement with high ROI and build the predictive models for each. I don’t think there is any general purpose AI that could do this today – every challenge needs to be addressed individually together with the best experts in each field. M: In terms of comminution, how can digital technologies be applied to the crushing circuit to make it more productive? JP: With crushing and screening, I would start by investigating two things: impact of higher asset uptime and energy efficiency. If asset uptime is a challenge for the plant today, implementing a condition monitoring and predictive maintenance solution is a great next step. This same system can also be used to analyze crushing efficiency and the use of optimal amount of specific energy. By working together with best experts in the field, changes to the process flow or the need for upgrading certain pieces of the equipment may be noticed and produce a high return of investment. M: Let’s say a company goes through the effort of implementing IoT technology, or some form of artificial intelligence in their plant. What are the benefits they are likely to realize? How do they deal with the loss of staff if some functions become automated? Is there a way to digitalize and still maintain jobs? JP: I do not believe that AI will replace humans in minerals processing plants for a long while. People’s role will, however, change from babysitting machines and firefighting towards preventing and planning. Interpreting data and determining the best course of action will still be something humans will do, now only with much more information in their hands to base their decisions on. For example, APC has not taken away the need for operators in the plants, just changed their role from tactical (maintaining setpoints) to strategic (determining what the best setpoints should be). Same way the role of maintenance people will change to higher value-add. M: Let’s turn to the digital products that Metso offers: (a) Metso Metrics for Mining; (b) Aggregates – digital channel for ordering spare parts; (c) Cloud-based tools; (d) 3D printing. Metso Metrics for Mining: Can you explain what this is and how it is used, with an example? My understanding is it has to do with optimizing plant maintenance. Metso Metrics for Mining is a plug-and-play predictive maintenance solution for Metso’s crushers and vibrating screens. It is still in pilot phase in several plants across the world and will be made commercially available in 4Q/2018. 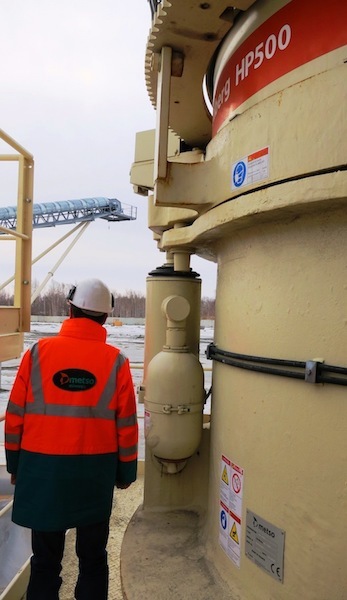 At these pilot plants, the system collects data from cone crushers, primary gyratory crushers, and vibrating screens, and sends the data in a cybersecure way to a cloud service for further analysis by Metso experts and also by our automated algorithms. The purpose of the system is to detect operational anomalies, identify potential existing or future mechanical failures, and point out any performance improvement potential. Aggregates – digital channel for ordering spare parts. What’s wrong with traditional order entry? What are the benefits of a digital channel? Today, our distributors and customers expect a modern online experience. They can easily find and order any item on Amazon or eBay when at home, so why not also be able to do the same when at work? My.metso.com is a modern tool to easily and quickly find and order any Metso part. Cloud-based tools. What cloud-based tools does Metso offer? We have several cloud-based tools. For easy and accurate data exchange between Metso and our EPC customers, Metso has been building a solution for digital data exchange of valve data. This helps our EPC customers to get the right valves for the right process at the right time and at lowest cost. 3D printing. This is a buzzword in the mining/ construction equipment industry, in terms of designing new models/ parts. For example Caterpillar recently opened a new 3D printing facility. What is Metso doing in this area? For mining, we are implementing processes where 3D printers can be used to make wear and spare parts in our rubber factories and foundries much quicker. To our customers this means significantly shorter lead times for these parts. For valves, we are making valve components with Direct Metal Laser Sintering (DMLS) that allows shapes and designs previously unthinkable with traditional manufacturing methods. This means better performing valves for our customers, for example, greatly increased noise attenuation or lower friction. M: What will the mineral processing plant of the future look like? JP: Long-term, say in 2050, we may see a lot more autonomous plants. There will be more advanced instrumentation, more intelligent machines that can automatically self-adjust to changes in the process, and much less anomalies and unexpected breakages. Processes are highly optimized with little performance fluctuation and consequent waste. People will operate on a fly-in fly-out basis visiting the plants temporarily rather than being physically present for months and years. Artificial Intelligence will make most of the trivial day-to-day operational and maintenance decisions, while people focus on strategic level decisions such as process flow redesign, planning of upgrades, economic optimization, etc.